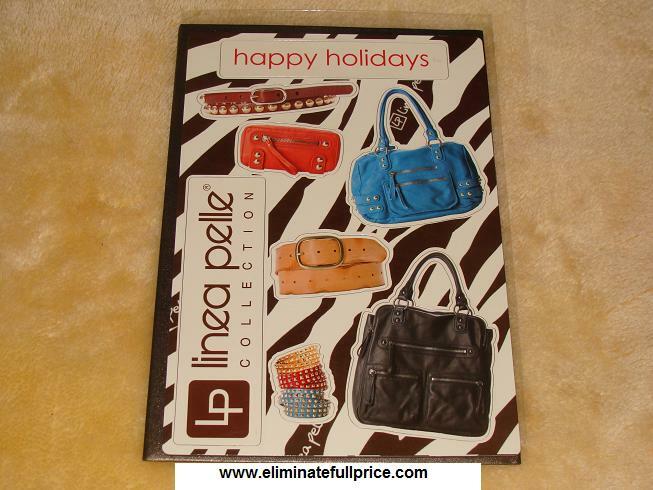 Eliminate Full Price: Eliminated Full Price on Linea Pelle! 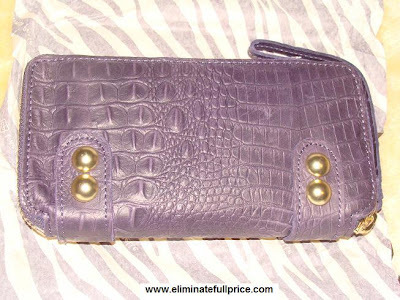 I spent $21.97 on a wallet worth $181.33! Eliminated Full Price on Linea Pelle! I spent $21.97 on a wallet worth $181.33! 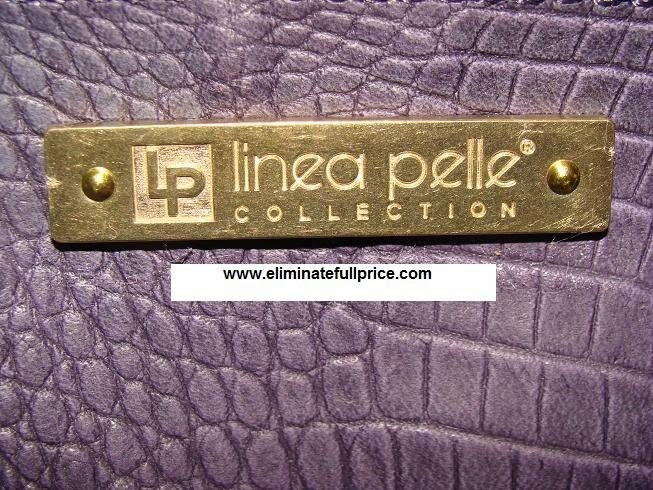 I successfully eliminated full price on a Dylan Croco Zip Wallet by Linea Pelle. 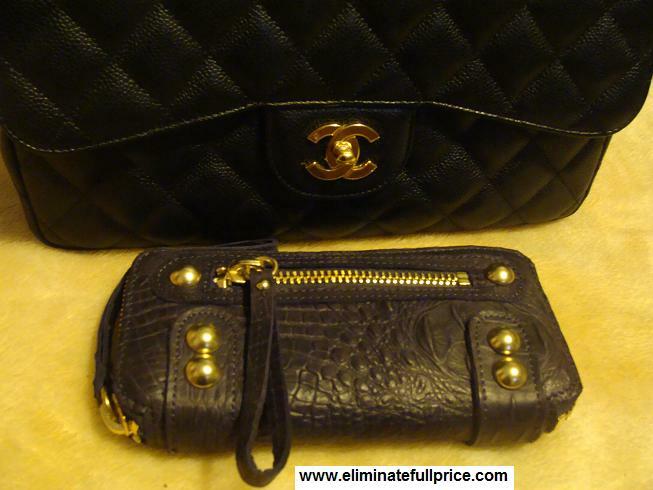 The wallet normally costs $155.00. With shipping and tax the full price is $181.33. 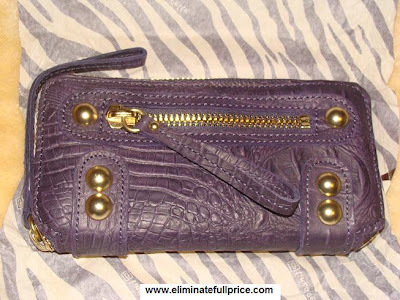 After my $100 code, 30% off discount, and eBates rebate, the wallet cost me $21.97! Keep on reading to see how I eliminated full price on it! I also got a free studded bracelet for posting a picture of myself wearing the bracelet/cuff I won on their Facebook page in 2009. 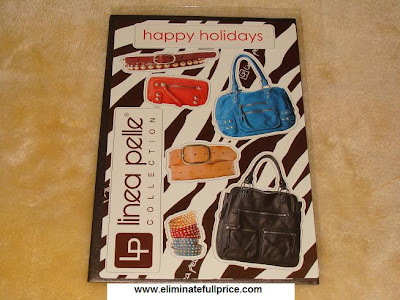 In 2010, Linea Pelle posted on their Facebook page they needed freelance writers to write blog posts for their website. I love to write so I sent them an e-mail and told them I was interested in writing for their blog. They accepted me and I had two blog posts published on their website. My first blog post was about the red carpet fashion on the 2010 SAG Awards. My second blog post was about the earthquake in Chile. I was going crazy trying to figure out what to do with my $100 Linea Pelle code. I thought about buying one of their bags but I already have enough handbags in my life. I didn't need another one. It was hard to chose what to get since they have so many cute products. I thought about getting a wallet but I didn't want to pay too much out of pocket. It turned out my indecisiveness worked out in my favor. 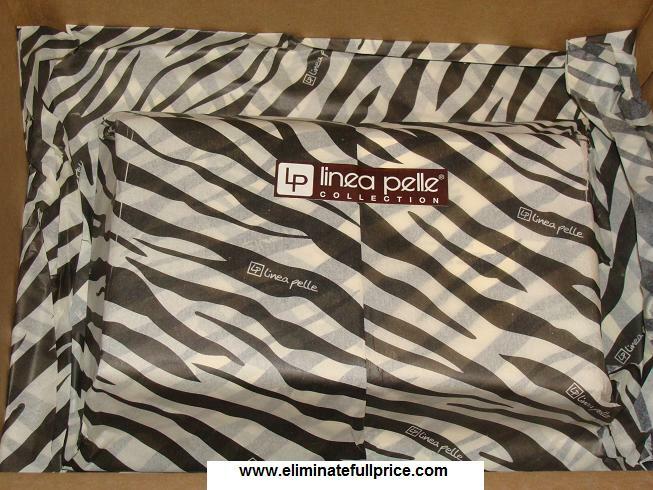 At the beginning of the February, Linea Pelle had all the items in their Gift Shop section on sale at 30% off! I knew it was the perfect time to finally use my $100 Linea Pelle code. 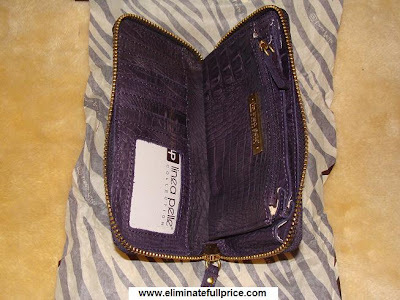 I had my eye on the Dylan Croco Zip Wallet which retails for $155.00. After tax and shipping the total would have been $181.33. The Dylan Croco Zip Wallet was on sale for $105.00. I decided to get it in the Concorde color which is basically dark purple. 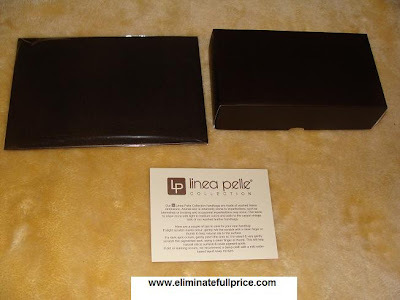 My subtotal was $5.00 after I redeemed my $100 Linea Pelle code. Shipping was $11.99 and tax was $9.71. At eBates, Linea Pelle cash back is 4.5%. They gave me 4.5% of my $105.00 subtotal before $100 code was applied which is $4.73. 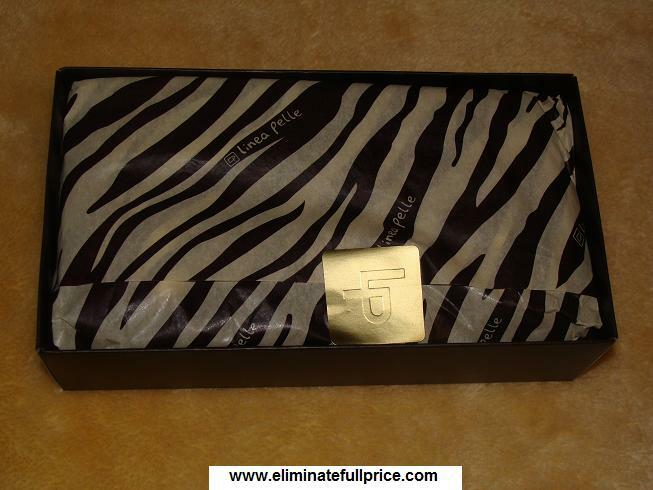 $26.70 total after code/discount - $4.73 eBates = $21.97 is my total out of pocket expense on my new Linea Pelle Wallet! $181.33 total without $100 code/discount/eBates - $21.97 total after $100 code/30% off discount/4.5% cash back from eBates = $159.36 full price eliminated! This wallet is very practical. It has a lot of compartments. 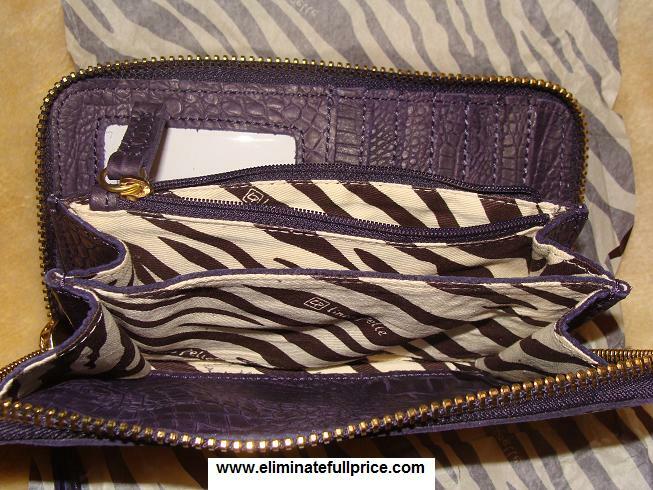 I can fit a lot of cash, coins, and cards inside. One of the issues I had with my past wallets was the lack of room for coins. 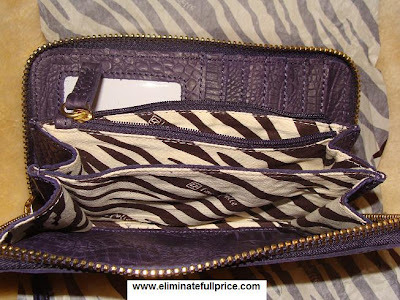 There's a zip compartment inside the wallet that can fit lots of coins. I love the wrist strap since it can double as a clutch too. The leather feels so nice. The croco embossed design is unique. The brass studs and hardware is eye catching and is a good contrast with the wallet's color. I feel so fortunate that I was able to eliminate full price on it.